Last Monday, Adam Myerson examined the different kinds of treads that riders should think about equipping their bike with at the beginning of the season, or for those with a little more flexibility in their budget, multiple tread options for different conditions. In today’s part two, he provides his own opinions on the different kinds of wheel setups as well as dialing in the pressure for clinchers, tubeless and tubular systems. 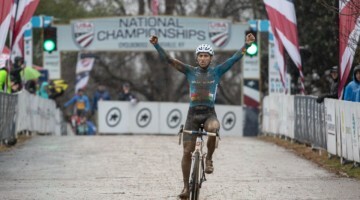 As a foreword note, Myerson, as a longtime cyclocross pro, has years of experience racing cyclocross on tubulars. If you find his advice on tires too pro-oriented for your racing, budget and priorities, see our own notes on suppleness and our extensive tubeless testing at the end of the article for alternative ways to gain speed with tire pressure and setups. 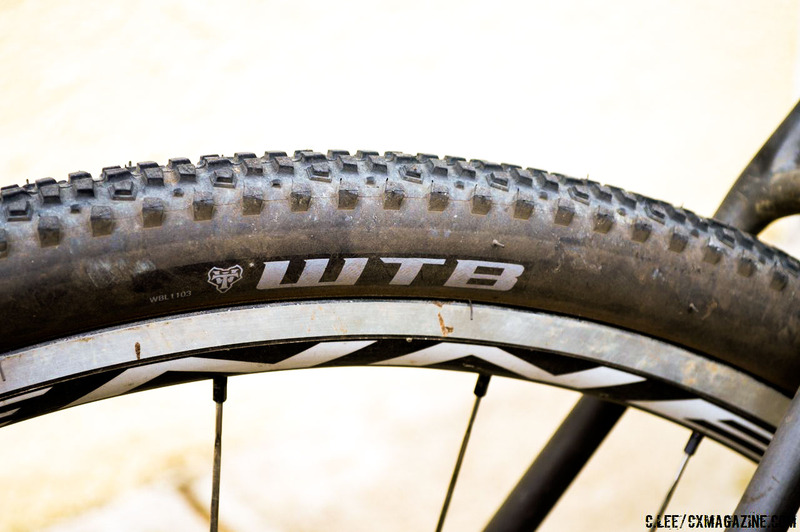 Your first decision is the type of rims and tires: clinchers, tubeless or tubulars? Most new bikes come with clinchers, and for training, clinchers are great. There’s an abundance of quality clincher tires and treads available now, and it’s nice to only have to change a tube when you puncture. But clinchers are heavy, prone to flats and [rim] denting, typically have very stiff, harsh [nylon] casings, and limit the amount of pressure you can run on the low end before you bottom out and pinch the tube or fold the tire in a turn. That makes them very unsuitable for racing. 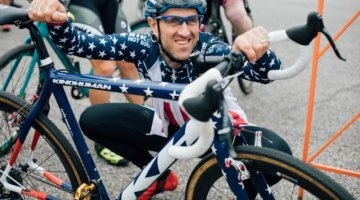 The one advantage to clinchers is that instead of bringing six sets of wheels to a race, you can bring a couple different types of tires and change them quickly and easily once you see the course. These days, tubeless setups address some of the limitations of clinchers, and they are a reasonable upgrade option. They offer a wide variety of tread patterns, also allow you some short-term flexibility if you want to change tires based on a course, and allow you to run much lower pressure without risk of flatting. The sealant in a tubeless set up is also an extra shield against punctures, and if you are stuck in the woods on a training ride, you can still put a tube in it to get home. All in all, a real improvement over clinchers in racing or training. For racing, tubular rims and tires are still unmatched. Tubular rims are lightweight, stronger than clinchers and tubeless by design, and don’t dent as easily. 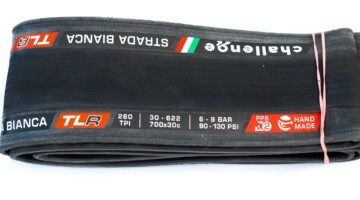 Tubular tires are lighter, have much more supple, flexible casings that allow them to bend around the ground providing traction and shock absorption, they pinch flat less often, and you can run very low pressure without puncturing, again for traction, shock absorption, and lower rolling resistance. (How that works I’ll explain later.) The main drawback is that they can be expensive to replace, and gluing can be a laborious process. All things considered, though, it’s a worthwhile investment if you plan to have a set of wheels just for racing. In ’cross, lower pressure means a larger contact area and more casing flexibility, which means better traction, better shock absorption, and lower rolling resistance. How? On a mirco level, imagine a high TPI cotton casing at 24 PSI bending around uneven ground while the rim continues to travel straight ahead, without moving up and down. In ’cross, your suspension system is made up of your body, and your tires. Pumping your tires up so hard that the casing doesn’t flex is like locking out the suspension on a mountain bike. Personally, at 155 lbs, my starting pressure when I warm up on a course with tubulars is 23 PSI in the front and 25 in the rear. If it’s really bumpy, muddy or snowy, I’ll go as low as I can without bottoming out, usually 18 in the front and 20 in the rear. If it’s exceptionally fast, if there are high force turns that bend the tire too much, or if there are rocky sections, I might go up to 26/28. I never go higher than 30 PSI, and if I’m up that high, it means I’m racing jungle ’cross and someone’s done a lousy job with their course design. If you’re racing on tubeless, you can come close to these pressures, but my experience is that my equally skilled competitors who are on tubeless are usually about 5 PSI higher than I am, at least. With clinchers, add 10 PSI to that, and hope for the best. Many of the choices here are based on finances, commitment, skill and even time available to spend fussing on your stuff. It’s ’cross, and so what matters most is just that you’re out there with whatever equipment you have, and don’t stress too much about it. But when you do decide it’s time to stress about it, hopefully the information here will help you make good decisions about where your resources should go. Ed. note: Want more tire talk? Keep reading. To geek out more on tire pressure and suppleness, be sure to read Part I of our suppleness tests in Issue 28, as well as our 14 Myths of Tubeless Cyclocross Tires and rolling resistance tests seen in our early print magazines as well as last summer’s free digital issue. 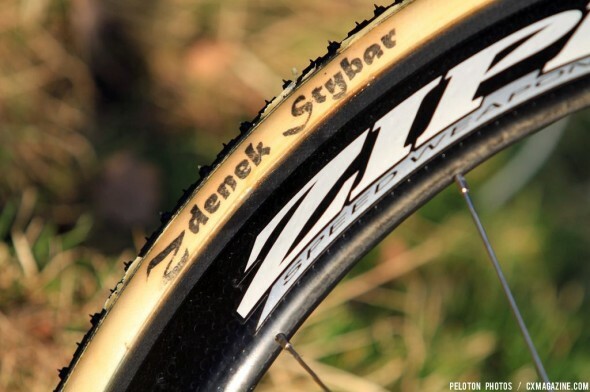 Cyclocross Magazine has the luxury of testing almost every tire and rim combination, in tubular, tubeless and clincher form. While Myerson is constrained to UCI tire width restrictions (33mm), most of you are not, and volume, if your bike has room for it, is the easiest and cheapest way outside of moving to both add suppleness and reduce rolling resistance over the bumps. 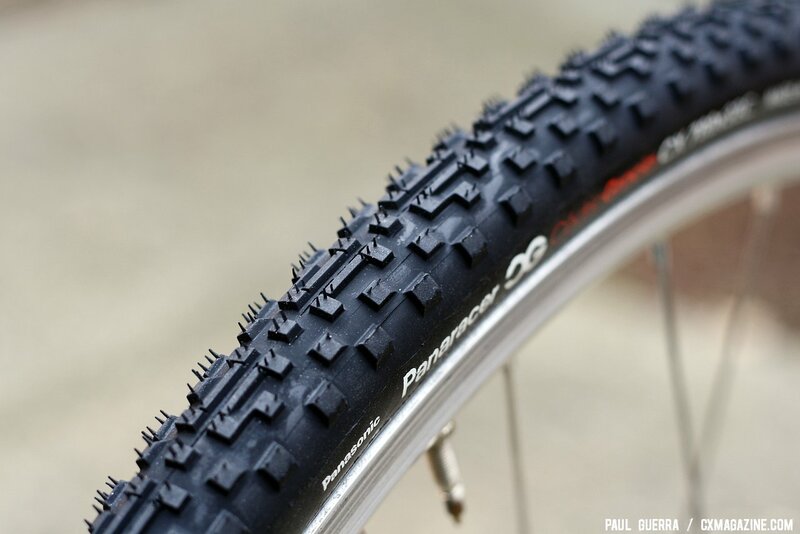 There’s now a growing segment of tires 35c or larger, many reviewed in Issue 29, with 37c, 38c, and 40c tires all offering versatile, cyclocross-worthy treads. In Issue 28, we did a CXM Labs test that examined tire suppleness of different tires, and discovered that in some cases, tubeless tires were even more supple than tubulars at a given pressure. This is consistent with Schwalbe’s recent test that found its road tubeless tires to be have lower rolling resistance than its own tubulars. Suppleness depends on the thickness of rubber in the tread, inner tube material, and the size of tread blocks, not just the cotton casing. 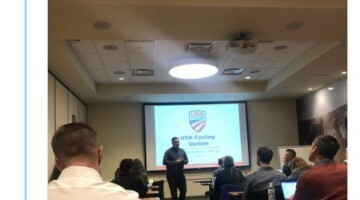 In our experience, there are times we can race tubeless tires at pressures lower than tubulars, but that’s in part because tubeless tires are often much stiffer than tubulars, which is a good reminder that comparing PSI measurements between different tire brands and models isn’t always helpful. For the full results of our initial suppleness test, grab a print or digital back-copy of Issue 28 (also available on any device through our All Access subscription here and on iTunes and Android). 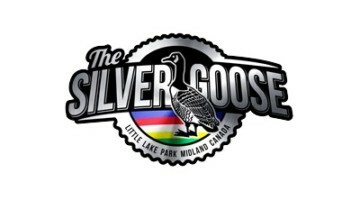 Cyclocross Magazine best clincher tire? What are your top 3 for dry to light mud?